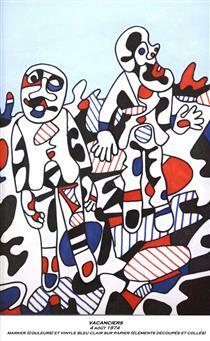 In 1945, Dubuffet attended and was strongly impressed by a show in Paris of Jean Fautrier's paintings in which he recognized meaningful art which expressed directly and purely the depth of a person. 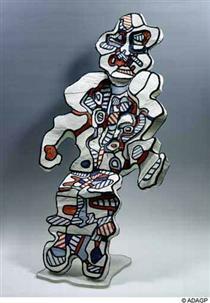 Emulating Fautrier, Dubuffet started to use thick oil paint mixed with materials such as mud, sand, coal dust, pebbles, pieces of glass, string, straw, plaster, gravel, cement, and tar. 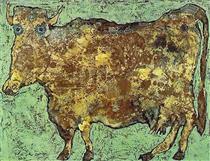 This allowed him to abandon the traditional method of applying oil paint to canvas with a brush; instead, Dubuffet created a paste into which he could create physical marks, such as scratches and slash marks. 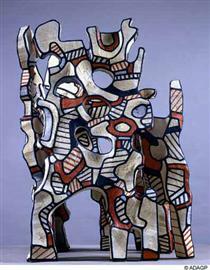 The impasto technique of mixing and applying paint was best manifested in Dubuffet's series 'Hautes Pâtes' or Thick Impastoes, which he exhibited at his second major exhibition, entitled Microbolus Macadam & Cie/Hautes Pates in 1946 at the Galérie René Drouin. 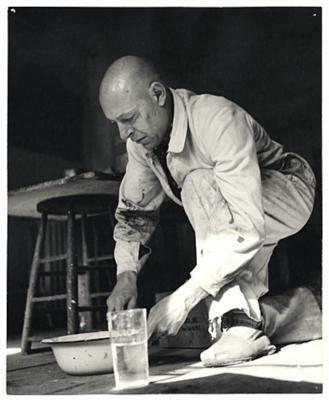 His use of crude materials and the irony that he infused into many of his works incited a significant amount of backlash from critics, who accused Dubuffet of 'anarchy' and 'scraping the dustbin'. 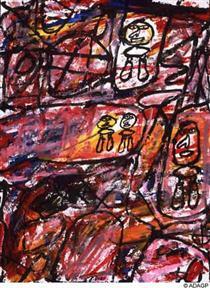 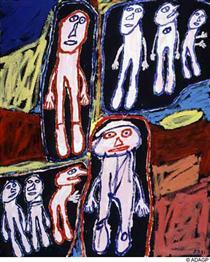 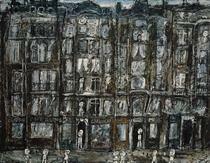 He did receive some positive feedback as well—Clement Greenberg took notice of Dubuffet's work and wrote that '[f]rom a distance, Dubuffet seems the most original painter to have come out of the School of Paris since Miro...' Greenberg went on to say that 'Dubuffet is perhaps the one new painter of real importance to have appeared on the scene in Paris in the last decade.' 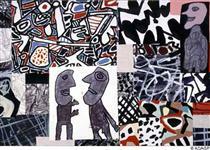 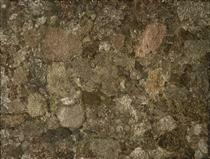 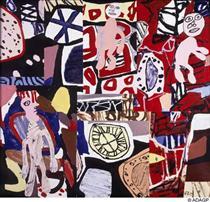 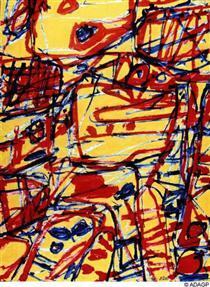 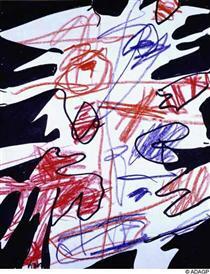 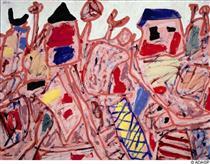 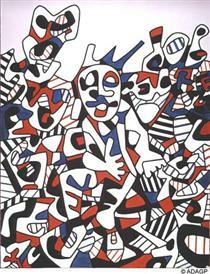 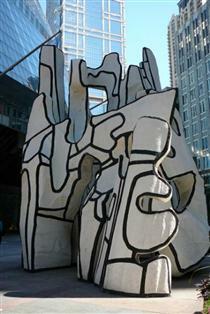 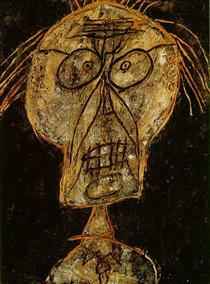 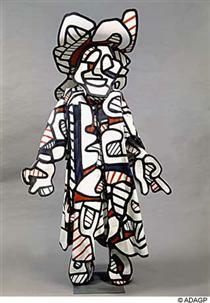 Indeed, Dubuffet was very prolific in the United States in the year following his first exhibition in New York (1951).